We pick you up and drop you off at your specified location. Reserve your Booking by paying a DEPOSIT today. $52 PER PERSON is DUE at PICK-UP. 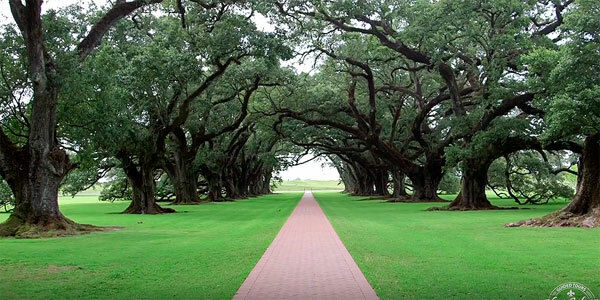 Now, Oak Alley Plantation is considered to be historic grounds that are protected and preserved as a registered National Historic site. This allows our guest a chance to see the landscape and experience the cultural evolution in person. An employee of New Olreans Oak Alley Plantation once experienced a definite presence and a hair raising touch to his arm while working years ago. Another employee of the plantation was giving a tour (simiiar to the one you can book) of the grounds to a group visitors when all of a sudden a candlestick inexplicably few from one end of the quarters to the other. The Oak Alley Plantation Ghost are not fond of remodelling; carpenters were climbing through the attic in order repair the Widow’s Walk. As a safety precaution the carpenters would use harnesses for protection incase of a slip. When the day was complete, their harnesses and ropes were placed neatly in piles in the attic. When they reutrned for work the next day, their harnesses and ropes where scattered around the attic, fasteners and buckles were adjusted or tampered with. After the findings, security cameras showing the entrance to the attics showed no evidence of anyone entering or existing the attic. Many have claimed to have seen empty chairs rocking. Items being unexplainably moved around. Visitors have heard sounds of babies crying. & sounds of horses. Oak Alley Plantation is so intriguing the “Ghost Hunters” TV Show vistied on 2008.